C&S Wholesale Grocers, Inc. announces its support of The Edge of Leadership, a program that helps students develop leadership skills to improve the classroom learning environment, set positive examples, and effect positive change in themselves, their schools, and their community. Developed and implemented by High 5 Adventure Learning Center, Edge of Leadership’s mission is based on over 35 years of youth leadership programming. Edge of Leadership helps students and their teachers connect and communicate in new and positive ways that improve classroom and school culture, promote effective collaboration skills, and instill confidence in their leadership capabilities. High 5’s Edge of Leadership program believes that students –given the right encouragement, tools, and opportunity – are a powerful resource for bringing innovation and positive influence to the school community and to the lives of others. Practice using sound judgment and make healthy choices. Realize the powerful potential of communication, dialogue, and collaboration. Discover the confidence to lead by example. Learn skills for making a positive difference in their school communities. 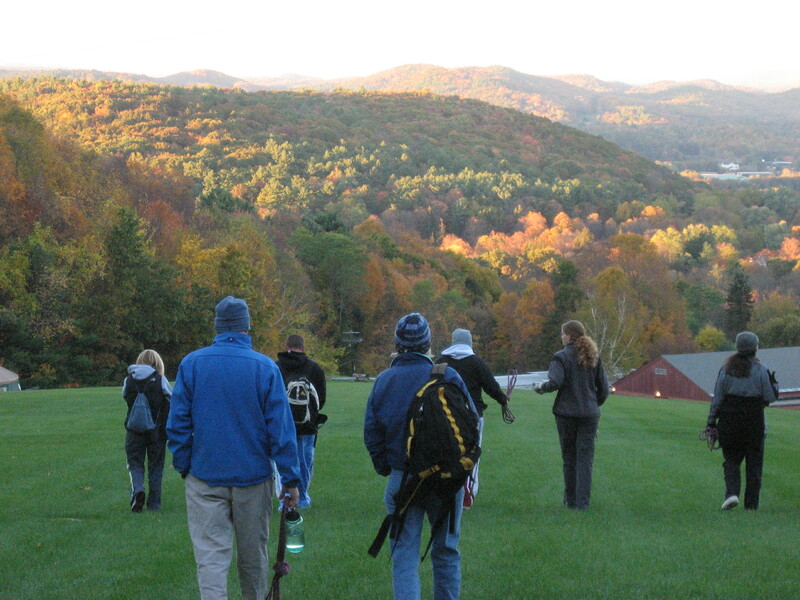 High 5, based in Brattleboro, VT, is a not-for-profit educational organization dedicated to helping individuals, schools, and communities improve the way they live, learn, and work together. High 5 provides educational experiences for all ages that develop a sense of connection and community in a learning environment of discovery, challenge, and fun. To learn more about Edge of Leadership or High 5, go to http://www.edgeofleadership.org or http://www.high5adventure.org. ABOUT C&S WHOLESALE GROCERS, INC.
C&S community involvement programs support initiatives to fight hunger and to promote the health and enrichment of communities that are homes to the company's employees and facilities. To learn more: http://community.cswg.com. Teachers and High School students heading out for a day of programming at High 5 Adventure Learning Center.